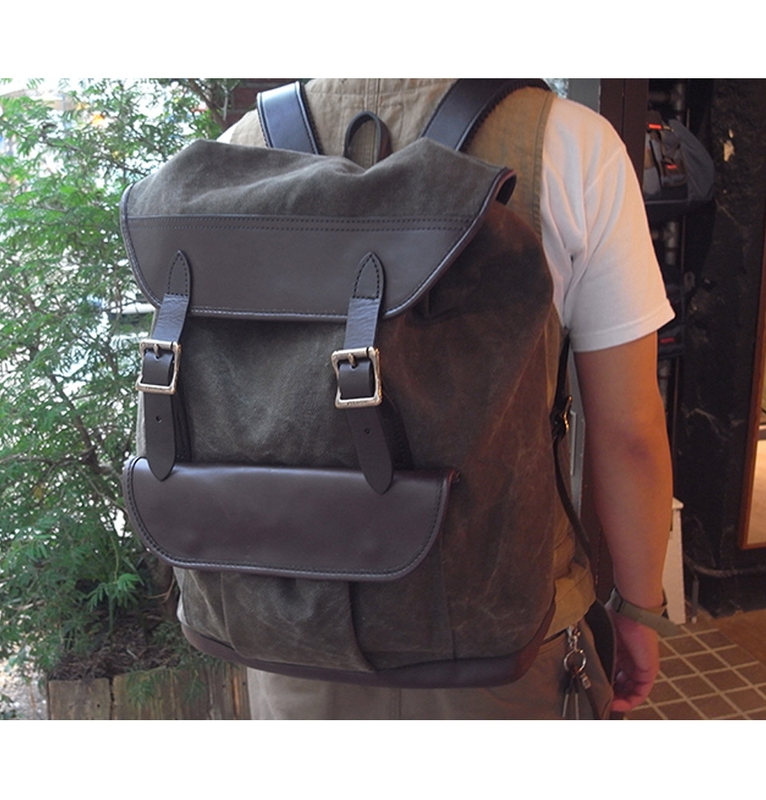 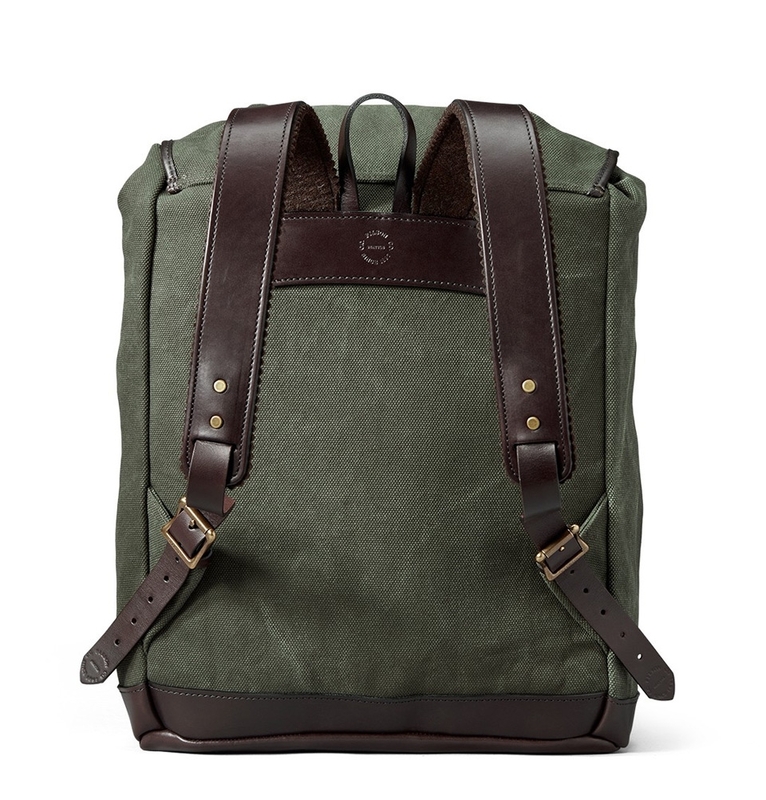 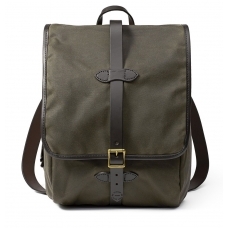 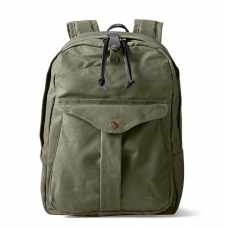 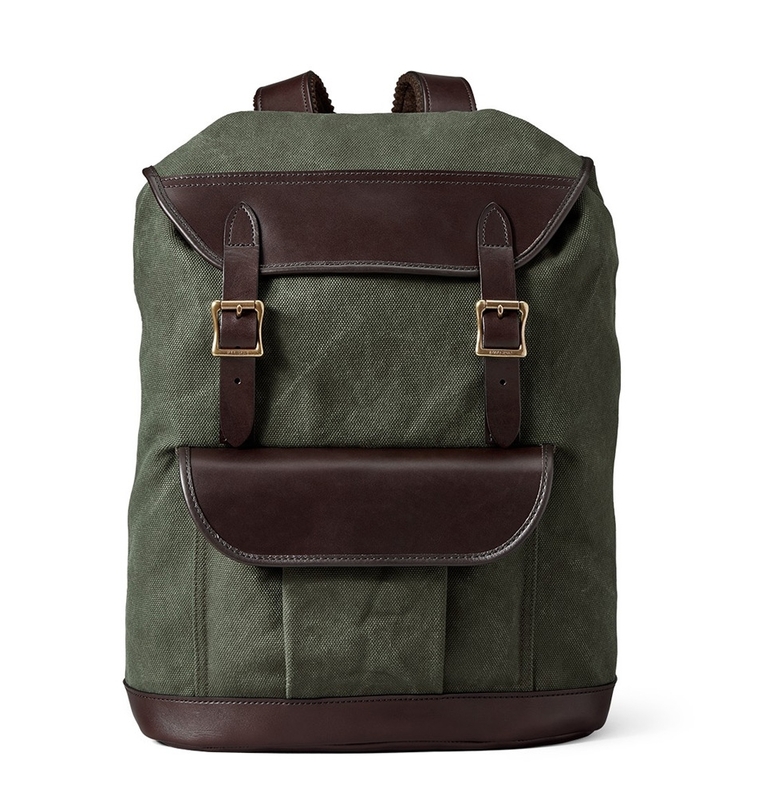 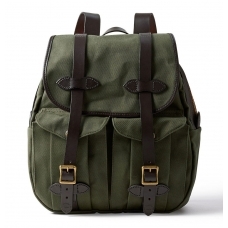 A sturdy Filson backpack, accented with contrast-leather trim. 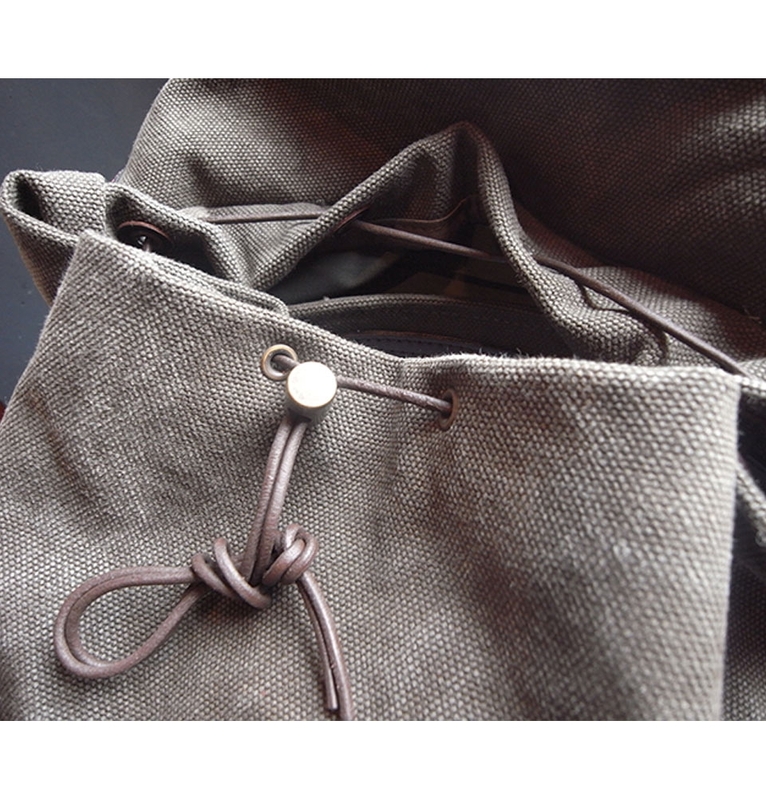 Snap tab front pocket. 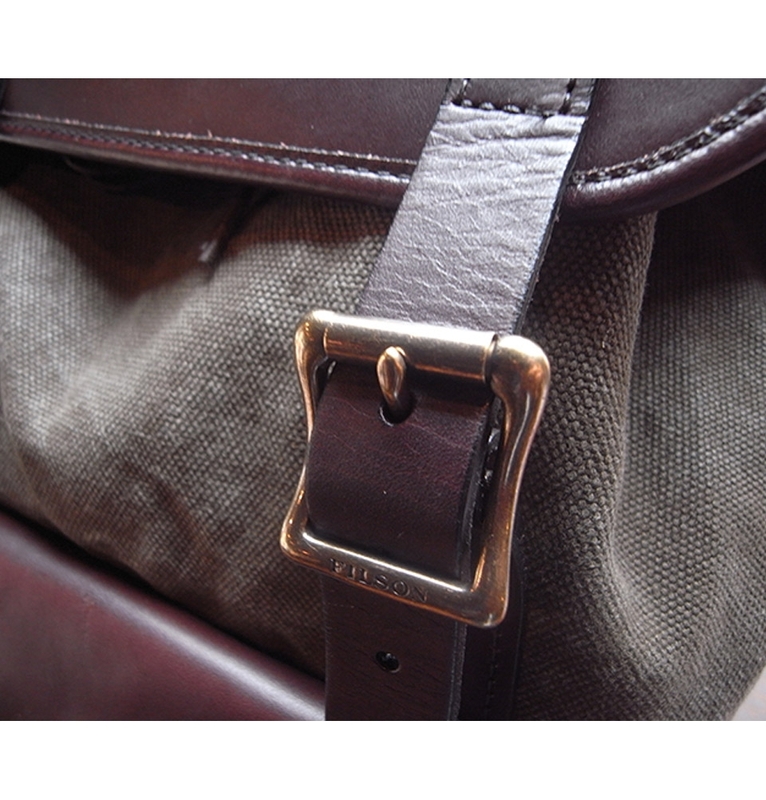 Buckle straps fasten the top flap, which covers the drawstring top. 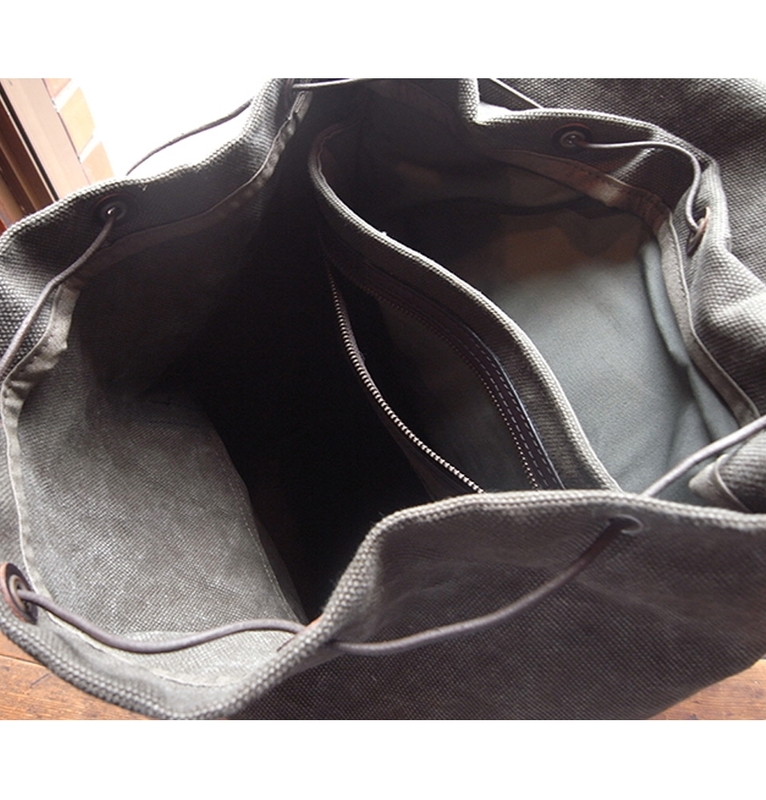 Unlined interior with a zip pocket and padded laptop sleeve. 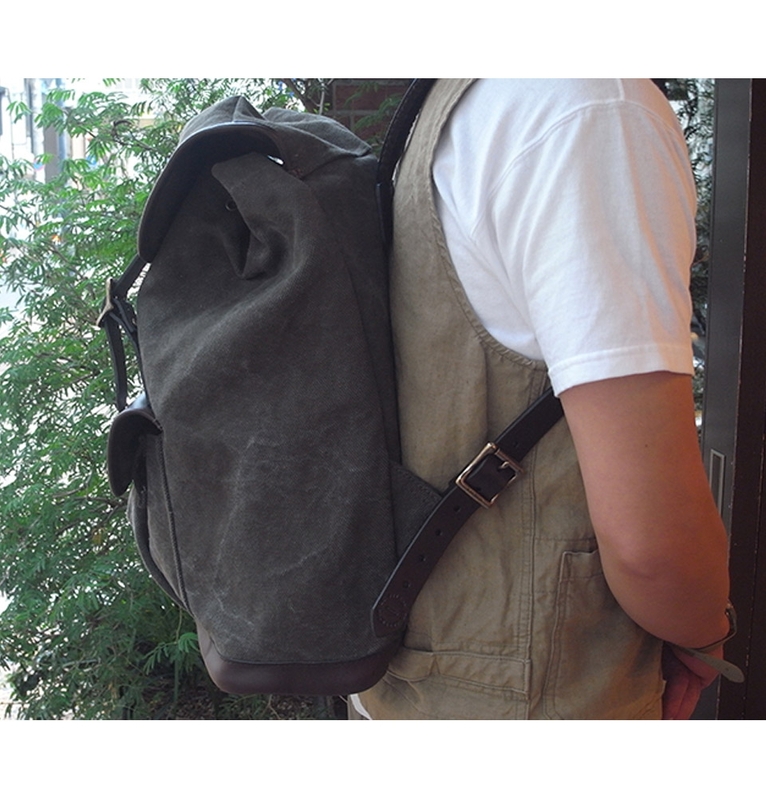 Locker loop and adjustable shoulder straps. 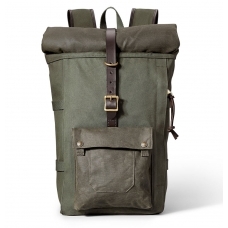 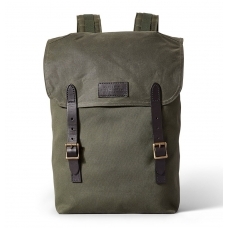 Filson Rugged Canvas Rucksack 11070431, a sturdy Filson backpack, accented with contrast-leather trim. 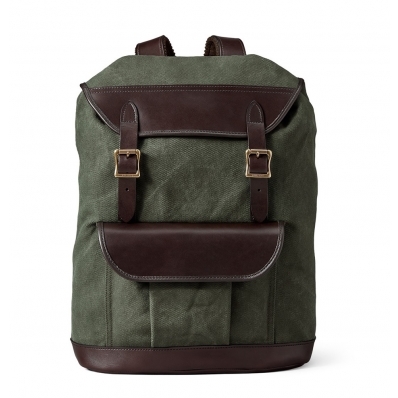 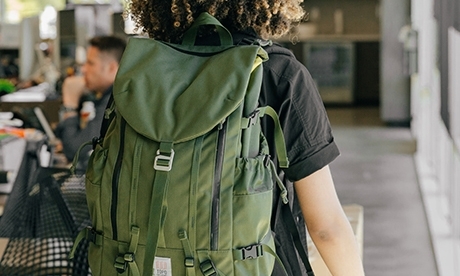 This Filson Rugged Canvas Rucksack is made with our extra tough Rugged Canvas, and features leather reinforcement on the base, lower sides, pocket flap and top flap. 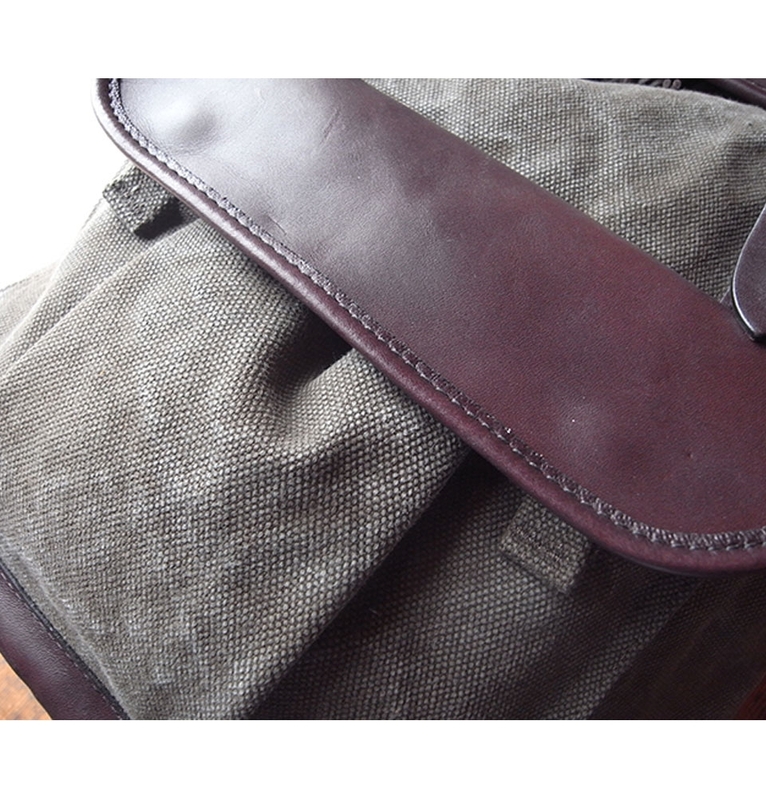 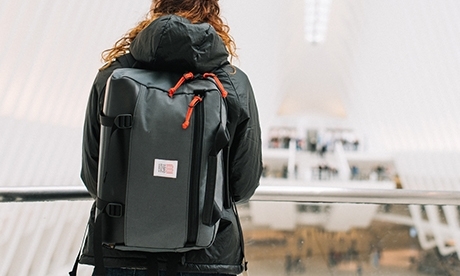 The back is padded for comfort, and it has a padded interior laptop sleeve. 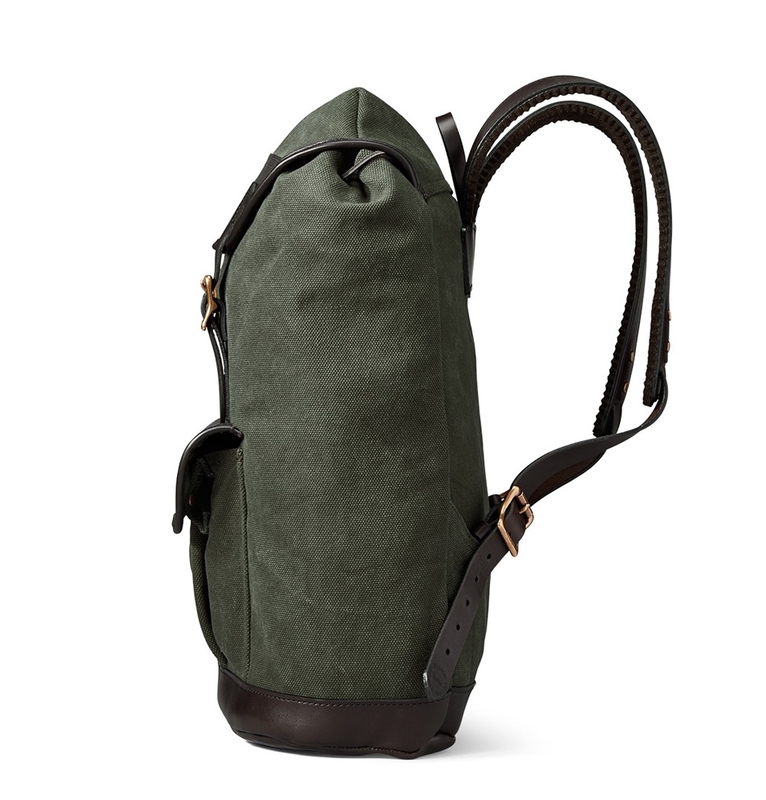 Other features include a leather drawcord cinch closure with a top that secures via Bridle Leather straps with solid brass buckles. 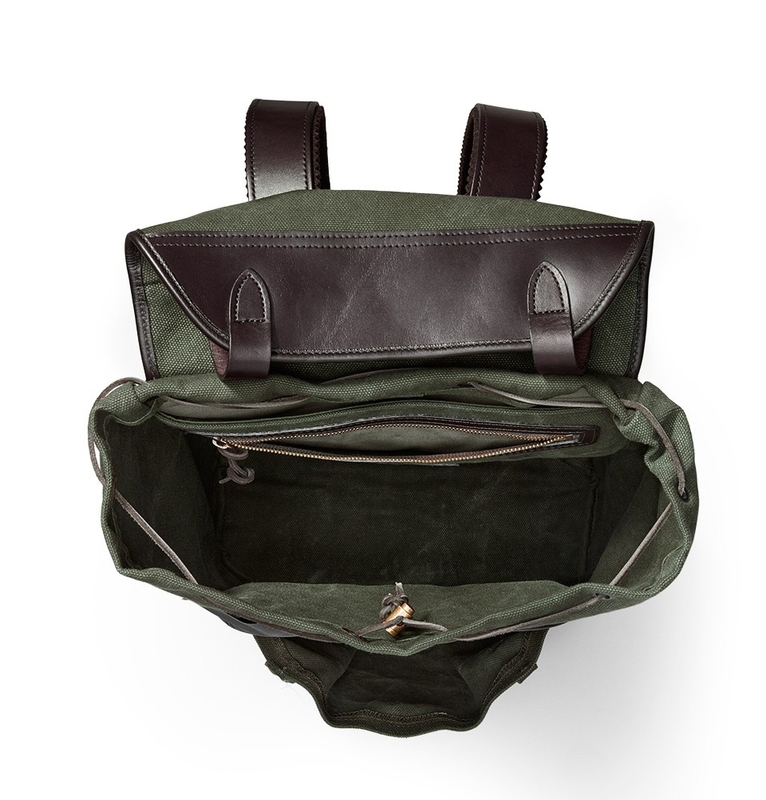 The expandable front pocket has finger loop snap tab closure, and it has an interior zippered security pocket. 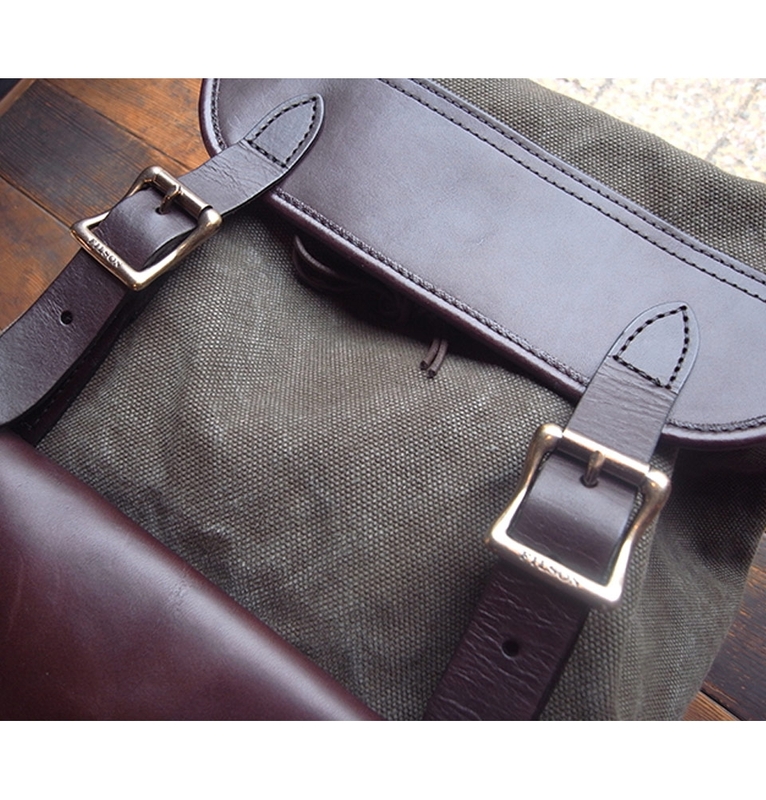 The shoulders are felt-lined with pinked edging to prevent slippage.